Dennis is an operating advisor to private equity firms and their portfolio companies. His focus is on organizational and human resource strategies, human capital planning, acquisition and development. Dennis served on the Board of Visitors from 2009 to 2013, including two years on the Executive Committee and as secretary, and was chair of the Administration Committee and Richard Bland College Committee. 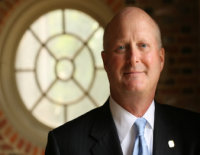 While on the BOV, Dennis was appointed by the Rector to lead the committee responsible for evaluation and contract renewal of the College’s president and to lead the search committee to fill the position of president at Richard Bland College. He also served on the search committee for the College’s head of development.